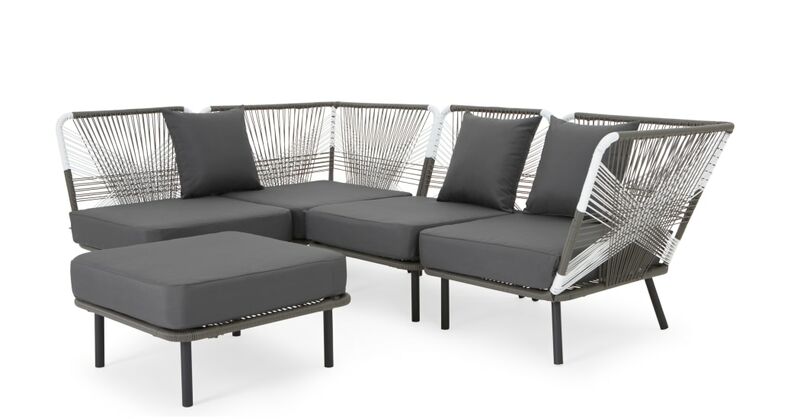 Looking for the coolest piece of garden furniture on the block? Our Copa corner sofa is it. Groovy and graphic, it provides plenty of seating room for guests. Great for those looking to make a bold style statement. We’ve taken this weave to the next level. Shades of grey and natural hues are merged together to create a playful pattern. Plus Copa's smart modular design allows you to arrange this sofa to suit the shape of your garden.